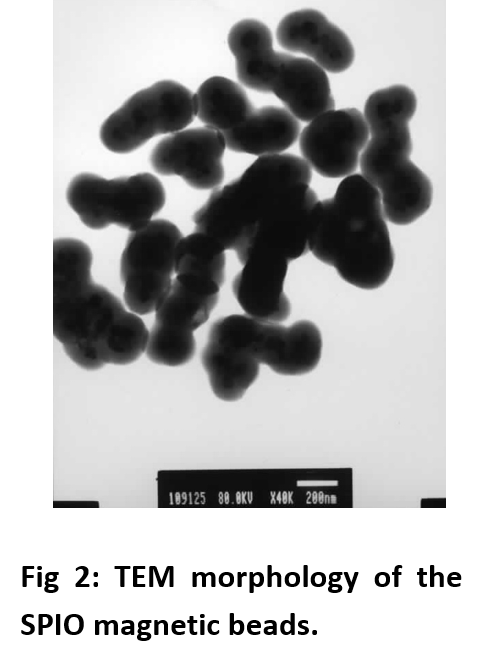 TANBead’s advanced nanotechnology focuses on producing uniform size magnetic nanoparticles including Super-Paramagnetic Iron Oxide (SPIO) and Ultra Small Super-Paramagnetic Iron Oxide (USPIO). We have extensive expertise in surface modification of nanoparticles by synthesis with different functional groups for molecular biological applications. In concept, SPIO coated with Silica can be applied in nucleic acid extraction, while modified with affinity functional groups it is applicable for protein purification and immunoprecipitation. Nanoscale magnetic particles synthesized with amino and carboxyl functional groups, and dissolved in Ethanol/Isopropanol/ N-Hexane. Widely applied for rapid test reagents and applications of academic research. TANBead® NTA magnetic beads are composed of Ni-NTA coupled to magnetic beads and offer high binding capacity and minimal nonspecific binding. Ni-NTA magnetic beads are used for rapid purification of 6xHis-tagged proteins.